Mountain Vista Psychology, PLLC effectively assists clients in achieving the change they desire in a collaborative, respectful, and nurturing environment. We use research-based effective treatment options and monitor progress with clients to ensure they are getting the changes they need in their lives. We support each other and our clients with compassion and integrity to serve our community. Please see our individual counselor pages to learn more about our clinicians! 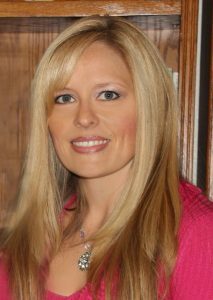 My name is Dr. Steffanie Stecker and I am the owner and clinical director of Mountain Vista Psychology, PLLC. I am the oldest of three children who all live in Colorado. I have been married to my husband for 13 years and have I have a 23-year-old step daughter, a 10-year-old son, and a 8-year-old daughter whom I love very much. I am a mother, wife, daughter, and sister and know about relationships not only professionally, but also personally. The life of someone I love was touched by ADHD, anxiety, and sensory difficulties and in my search for help, I discovered neurofeedback. After witnessing the changes that took place, I became board certified in neurofeedback and it is integrated into my practice. In addition, I am one of under 100 people worldwide who is QEEG board certified. This is the certification that signifies qualification to process brain maps, the road map for neurofeedback. I enjoy offering testing, counseling, and neurofeedback to serve those who struggle with a variety of difficulties and find that most of the people who choose to work with me have Anxiety, ADHD, or are on the Autism Spectrum. I have a passion for helping create change in people’s live and feel lucky to spend my days the way that I do! 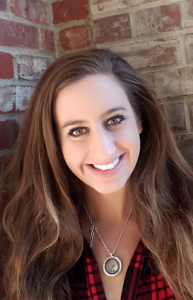 Professionally: I am a licensed psychologist in Colorado (#3546) with Master’s Degree in Counseling Psychology from the University of Denver and a Ph.D. in School Psychology from the University of Northern Colorado. In addition, I am a board certified neurotherapist (BCN E5669) and board certified in QEEG (QEEG-D). Less than 100 people world wide are board certified in QEEG, which indicates competency in reading QEEGs and choosing neurofeedback protocols. As a result of this training I read all QEEGS and guide protocol development for all clients at MVP who participate in neurofeedback training. In addition, I mentor clinicians new to neurofeedback who are not a part of MVP. I have also completed both Level One and Level Two Training for EMDR. I am a lifelong learner who attends ongoing training to be sure I am highly competent to best serve you. 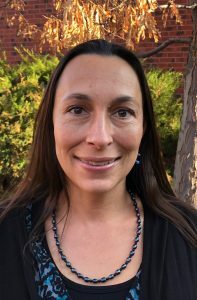 My name is Tanja Gorenc and I am a Colorado native- I was born and raised in the northern suburbs of Denver. I earned my Master’s degree at Regis University here in Denver. As a marriage and family therapist, I take a systemic approach to my therapy, meaning I look at the entire family system when working with my clients. I have experience in working with children, adolescents, couples, and families, all of whom I enjoy working with very much. I have a passion for helping my clients manage their anxiety and also for working with trauma. I am a firm believer in personal growth after trauma. I have experience working with the LGBTQ adolescent community and my goal in each session is to help my clients feel safe and supported while working to become the best versions of their true selves that they can be. I sometimes take quite a humorous approach in my therapy sessions to break the ice since it can sometimes feel overwhelming- laughing is the best medicine after all in a lot of cases. In my free time I like to spend time in the mountains and outdoors, visiting my family in Europe and traveling out of the country- I’m always up for a travel challenge or last minute vacation to a surprise destination. I am the oldest of three and have two younger brothers, both of which have taught me many life lessons as their big sister. I have a Master’s Degree in Marriage and Family Therapy from Regis University (2016), and a B.A. in Psychology and Sociology from University of Colorado at Denver (2008). I am a Licensed Marriage and Family Therapist Candidate in the State of Colorado (License #MFTC.0013658). My name is Danielle Wahl, and I was born and raised in Colorado Springs. I was a former college athlete, so in my free time I like to swim, hike, run, bike, and pretty much do anything active! I earned my Master’s degree at University of Denver where I discovered my love and passion for psychology. I have worked in a range of settings with children, adolescents, teenagers, and adults. I have experience working with eating disorders, depression, anxiety, trauma, and various other mental health diagnoses. I do not believe there is a “one size fits all” when it comes to mental health treatment, and I find passion in taking an integrative approach to help my clients find their way while I supportively walk alongside them on their journey. My goal is to help guide my clients find inner peace and love as they embark on various adventures in life. Professionally: I am a Licensed Professional Counselor Candidate in the state of Colorado (License # LPCC.0015577(2017). I also have completed training for EMDR. I have worked in full and partial hospital settings, residential treatment centers, and traditional settings within the field of psychology. I have specific training in Cognitive Behavioral Thearpy ( CBT) and Dialectical Behavior Therapy (DBT) both which I ultalize in practice. My name is Heidi Bonilla. I have a primary passion for working with people and seeing people improve their wellbeing and happiness. 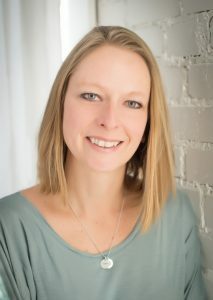 I am invested in seeing my clients discover their own strengths, and I do this through an integrative and client-centered approach to counseling that focuses on the client’s own goals and ideas for what recover and growth look like and on the style of counseling that makes the most sense to each individual client of family. I use counseling modalities such as Person-Centered Therapy, Cognitive Behavioral Therapy, Solution-Focused Therapy, Play Therapy, and skill building-such as life skills, social skills, and coping skills. I work with individuals, families, couples, children, and adolescents struggling with a variety of treatment concerns, including anxiety, depression, behavioral issues and developmental issues in children and youth, parenting concerns, family systems conflict, life stress, trauma, and adjustment. I am a Colorado native who loves the outdoors, and I spend my free time relaxing at home, enjoying Denver, hiking, or traveling to visit friends. I have been married to my husband for seven years, and we are proud cat-parents. 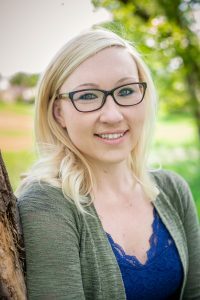 Professionally: I am a Licensed Professional Counselor in Colorado (License # LPC.0014883) and have a Bachelor’s of Science in Psychology (2010) from Southern Nazarene University in Oklahoma and a Master’s of Arts in Counseling (2016), with an emphasis in Couple and Family Therapy, from the University of Colorado at Denver. I have a background working in both private practice and community mental health settings. testing and assessment services. I grew up in Ohio and moved to Colorado in 2013 to pursue a doctorate in clinical psychology at the University of Denver. I am a mother to an 18-year-old daughter, who is a senior in high school, and a 15-year-old son, who is a sophomore. As a parent and a professional, I have witnessed first-hand the impact that psychological testing can have on informing choices to support a child, or themselves, and I have a deep appreciation for the experiences that bring someone to this point. Psychological testing can answer unknown questions that help to improve the lives of individuals and their families by providing clear direction for how to address distressing issues, academic struggles, or developmental difficulties. I am committed to empowering the people that I serve to live the best life that they can through therapeutic and psychological testing services. Professionally: I am a Psychologist Candidate for Licensure in the state of Colorado (permit # PSYC.00014024). 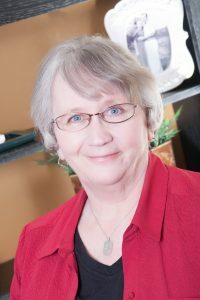 I have a doctorate in Clinical Psychology, and a master’s degree in Clinical Psychology; both were earned from the University of Denver Graduate School of Professional Psychology. 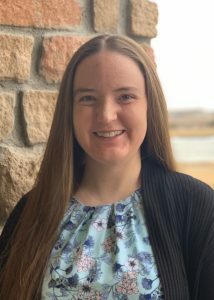 I completed my predoctoral Internship at the University of Denver Health and Counseling Center where I provided psychological testing services for students to assess for ADHD or Learning Disabilities, and I also provided individual and group psychotherapy to students, faculty, and staff. My clinical experiences include working with children and their families, adolescents, and adults in settings such as community mental health centers, a high school, college counseling centers, and private practice, among others. I approach therapeutic work from an integrative framework that is rooted in evidence-based therapies including Acceptance and Commitment Therapy (ACT), Cognitive Behavioral Therapy (CBT), and Dialectical Behavior Therapy (DBT). I also have a passion for suicide prevention work and have experience implementing population-based stigma reduction campaigns and gatekeeper trainings on a college campus that are culturally and linguistically sensitive. My name is Ruth Luchtenberg. I was born and raised in Northern California. My husband and I fell in love with Colorado many years ago and we are proud to be here and call it home. I am mom to 2 daughters and one son and grandmother to 3 adult grandsons. I have been an administrative assistant for many years and am happy to be part of the Mountain Vista Psychology family. I enjoy the outdoors, camping, walking my dogs, and spending time with family and friends. I also enjoy helping people and I feel that I have found a place where I can serve my community with empathy and understanding here at MVP. My name is Tara McConnell. I have lived in Colorado for the past 22 years. I have been married to my husband for 15 years and have two wonderful daughters. My first experience with Mountain Vista Psychology, PLLC was working with Dr. Stecker to develop the business graphics. I was then offered a permanent position as the administrator, scheduler, and to continue developing graphics for the business. I was excited about the vision for MVP and was eager to be apart of what was happening. I enjoy interacting with all the families, as well as utilizing my other gifts to support the services we have.